I do not know what happens when we die. No one really knows. The same goes for when our beloved pets leave us. I have lost some great friends over the years in the form of Dogs. In my opinion, there is no better friend in the world than a dog. I have heard stories of people who lost their pets and see them a week later, perhaps out of the corner of their eye, or hear them padding down the hallway, or just feel their precious presence around them. 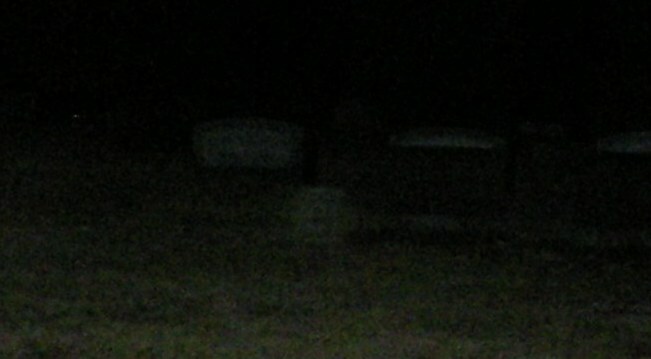 Back in May, I think it was, Dave was at Riverview Cemetery taking pictures and happened to get this one. 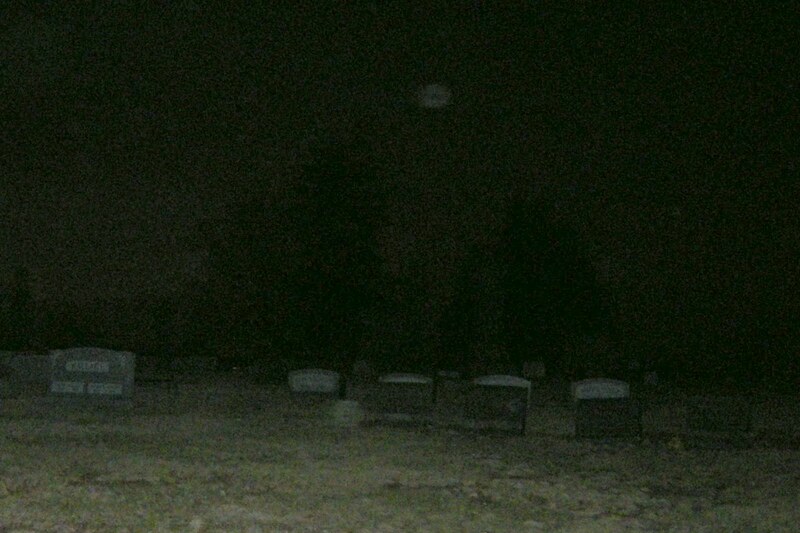 If you look at the orb hovering near the grave stones in the middle, you might notice the face of a dog in it. A happy, panting dog that perhaps is either looking for his loved one or maybe found him and watches over him. I love this picture for that reason. It is reassuring to me to know that perhaps, somewhere out there is the loved and missed spirit of one of my dearest friends that I can't see any more. Maybe when I pass on they will be waiting for me. This picture gives me hope. I haven't heard anyone blog about pets and where they go before. I'm glad you did. I have to admit, when our two old dogs passed on, I couldn't get rid of their favorite toys. The retriever's favorite tennis ball remained in a flower bed, the samoyed's favorite squeakie bone right beside it. Oddly, over the years, many times I've heard the squeakie toy let out its sigh as if someone had squeezed it and just let it refill with air again. The tennis ball I keep finding out in the yard when I've put it very clearly along the wall with the vines. There is absolutely no way for it to roll out and we have no pets. So, what's going on? I can't say. I can only say that for a pet to have that capacity to love and feel compassion, there's no way anyone can tell me they haven't earned the same gift at the end of a life well done. Crazy. I see an entire dog that looks like scooby doo. awesome.